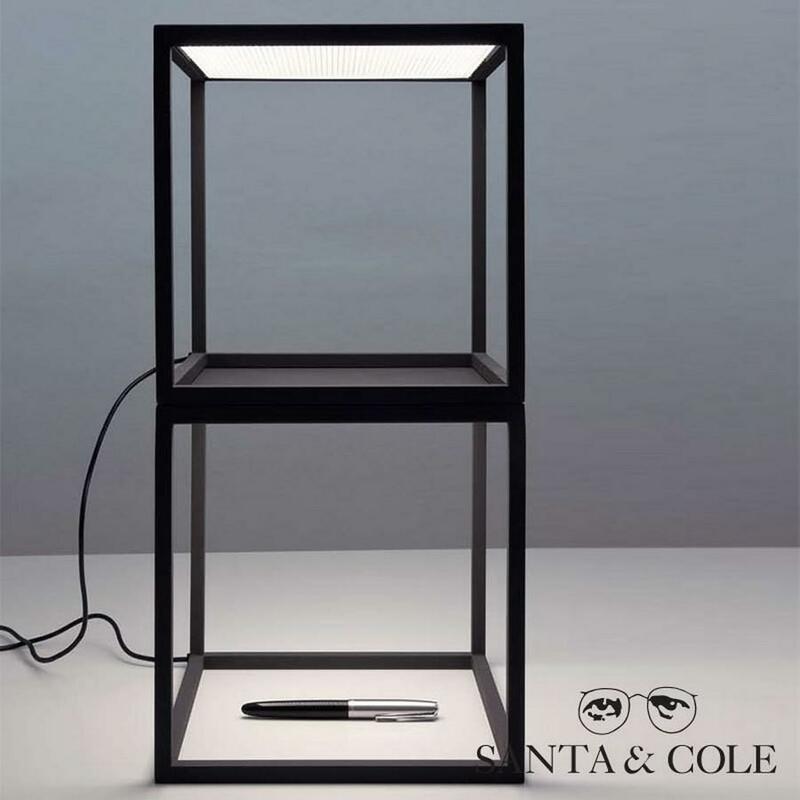 BlancoWhite C1 table LED lamp by Santa & Cole is a multifunctional table lamp designed by Antoni Arola. 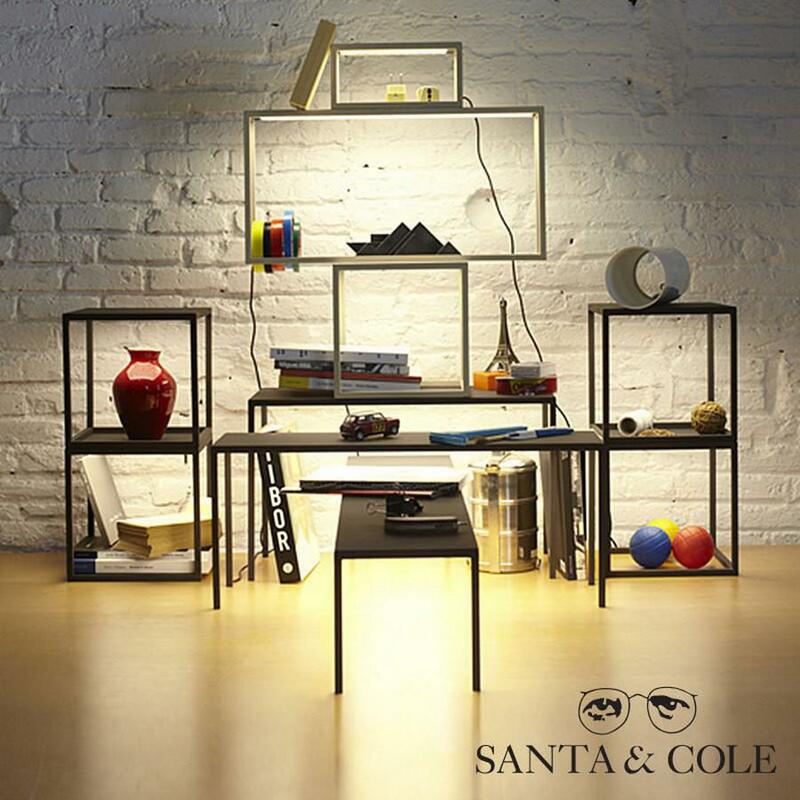 The essential shape of BlancoWhite E1 table lamp is usable as tabletop bookcase, lighting shelve or lighting composition system, called to play a leading role in our daily lives. 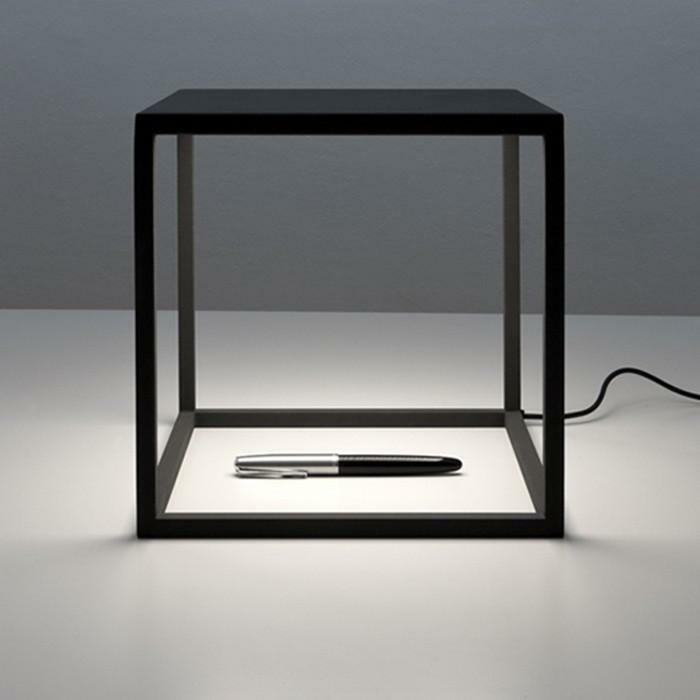 A new form of lighting, it immediately convinces the user through its quality and technology. 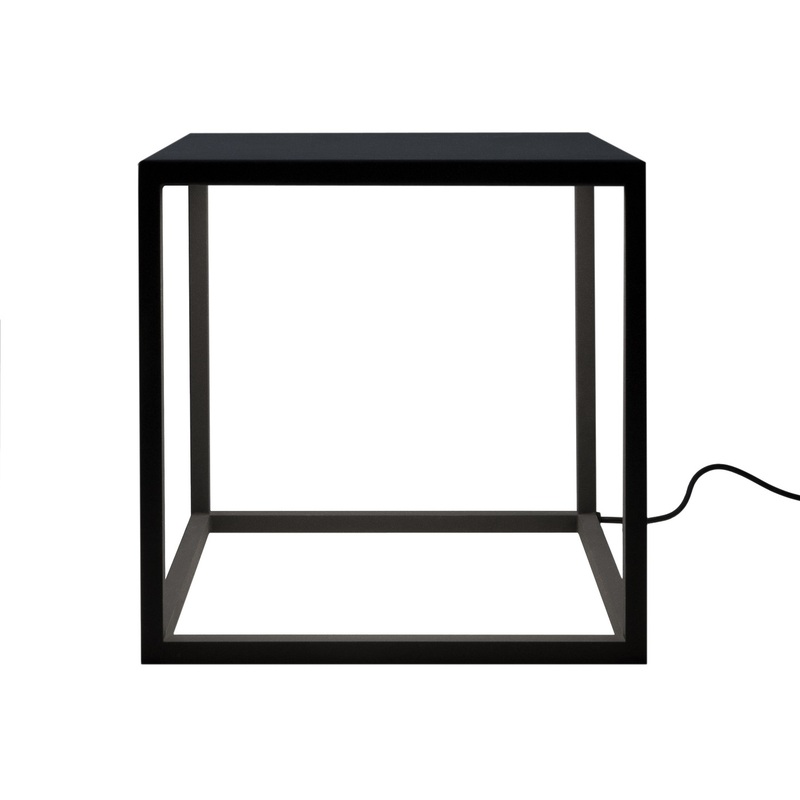 BlancoWhite C1 table lamp manages to domesticate LED lighting and to make the best of its energetic advantages, in favour of a non-aggressive, warm lighting. The BlancoWhite C1 Table LED Lamp is available in the two basic colors of the BlancoWhite family – graphite black and white. 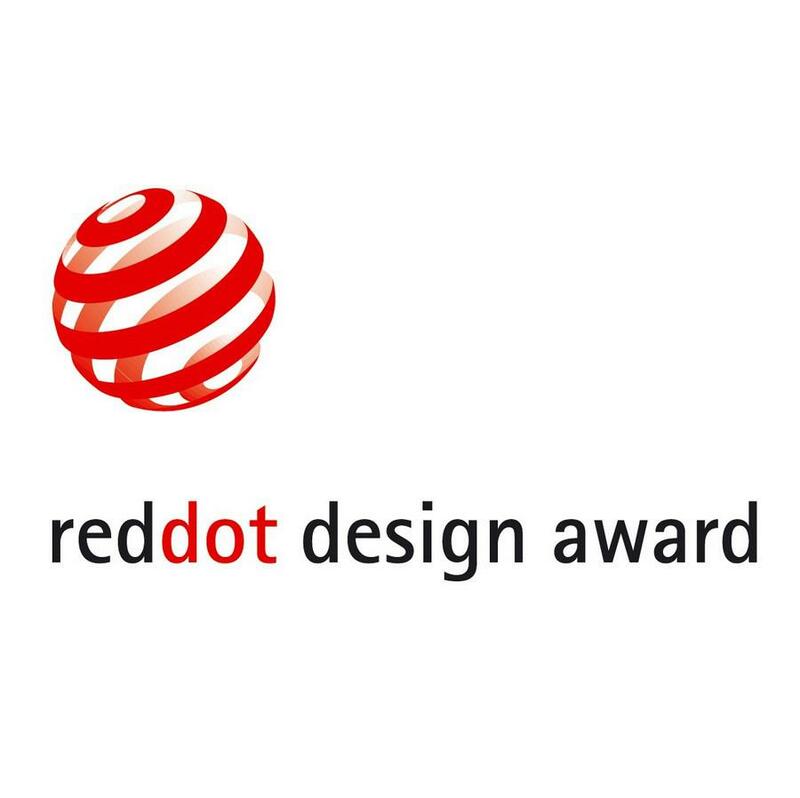 The BlancoWhite C1 Table LED Lamp was awarded the Red Dot Award 2012, Delta de Plata. Adi Fad 2012. 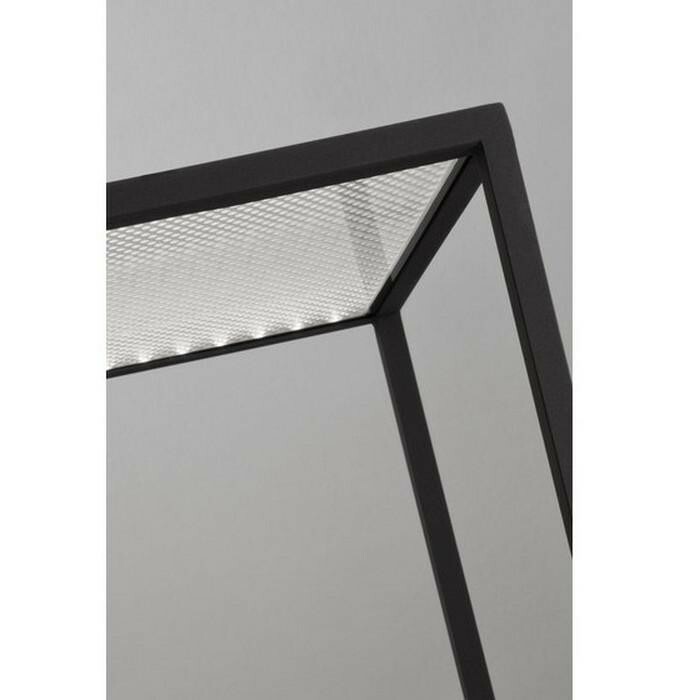 White (S&C) or graphite metallic structure with matte finish. 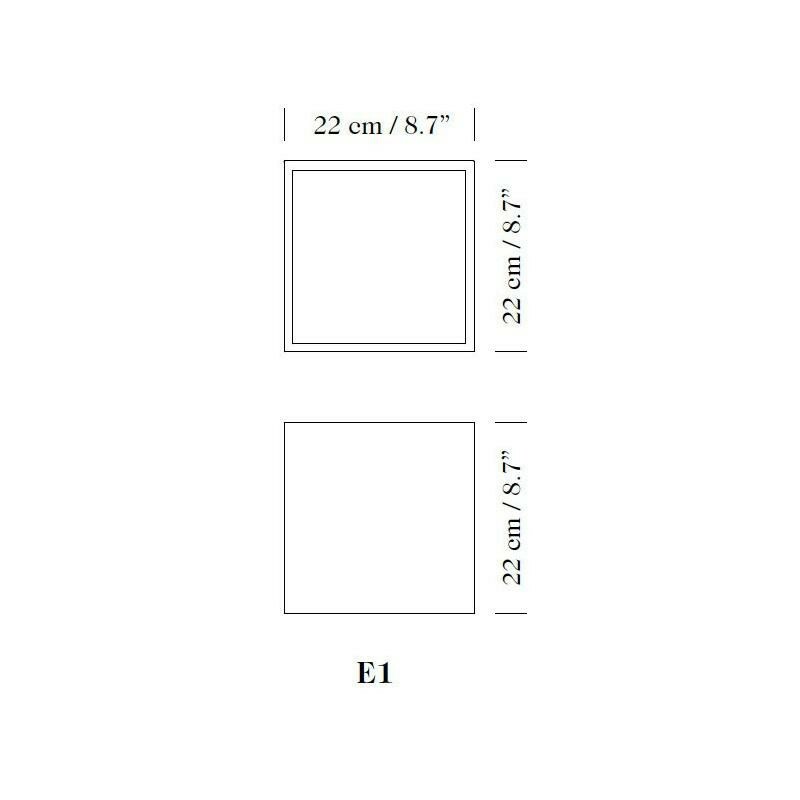 Dimensions: Length: 22 cm, Width: 22 cm, Height: 22 cm.